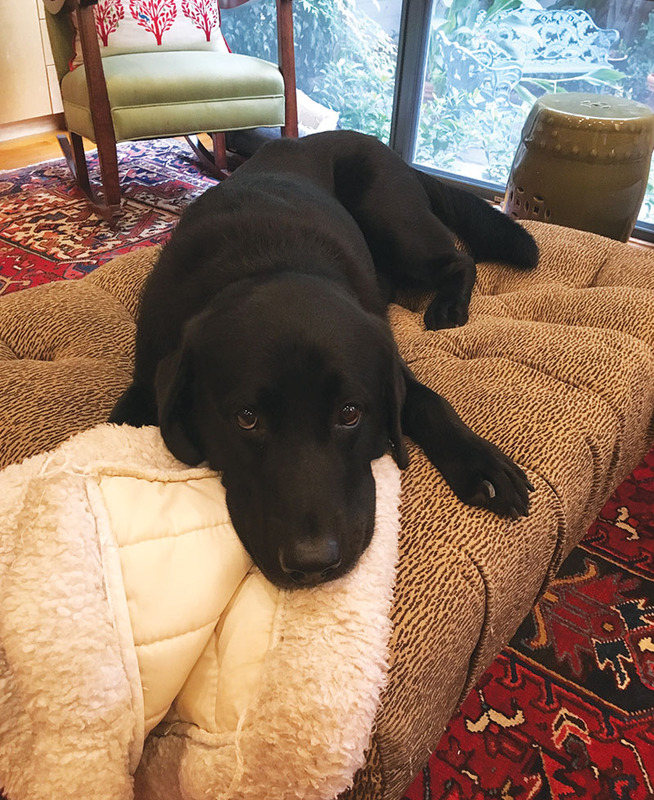 I am a 9-year-old lab with a lot of love for people, hunting, swimming and tennis balls. My family says I have a ton of personality. As a newborn, my siblings and I were raised by a chihuahua "manny" named Bruiser. Today, I love all dogs, especially chihuahuas. After a busy day of patrolling the yard and taking a long walks in my Upper Kirby neighborhood, I love to wind down and snuggle with my “Binkit,” my favorite fuzzy crate pad. I got my name because when I was brought home on Christmas Day in 2009, Elvis Presley’s Blue Christmas was on the radio. I have a kitty-sister named Sasha Fierce who keeps me entertained and follows me around the neighborhood on the last walk of the day before bedtime. Most days, you can find me hanging out in the kitchen looking for raw carrots (or just about anything that comes out of the oven).